Contact Federal Communications Commission Chairman Tom Wheeler and tell him that we need a free and open Internet. The Federal Communications Commission announced this week that it will propose new rules that would allow companies to pay Internet service providers (ISP) for faster lanes to deliver their content to customers. That means that large corporations like Disney or Netflix could pay to have their content delivered more quickly, while small start-ups or anyone without lavish funding would be stuck with slow or low-quality service. The rule change would be devastating for net neutrality, the principle that ISPs should treat all content on the Internet equally and that users should have equal access to all legal content. Earlier this year, a federal appeals court struck down rules the FCC implemented in 2010 to protect net neutrality on the grounds that the agency classifies broadband providers as information service providers and not telecommunications service providers, which can be regulated more strictly. As John Nichols points out, it is well within the FCC’s power to reclassify internet access as a telecommunications service and to reassert its authority to protect net neutrality. 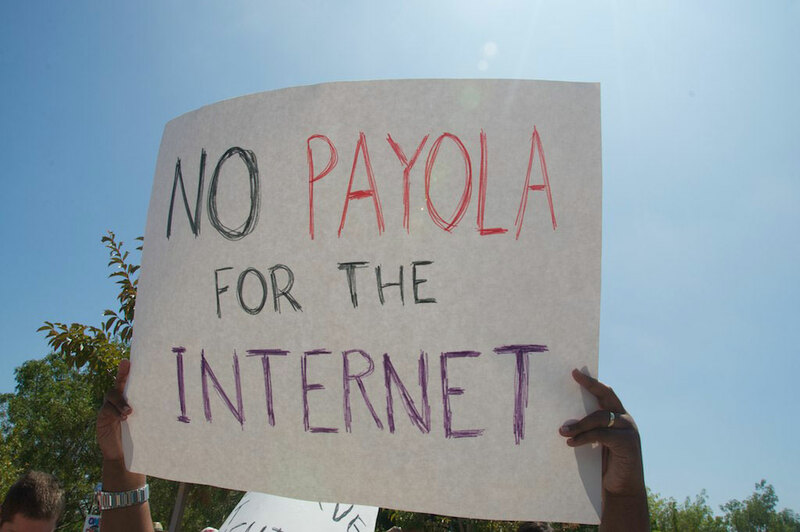 Don’t stand by while the internet is transformed into a pay-to-play service. Contact FCC Chairman Tom Wheeler and tell him that we need a free and open internet. Then, check out the work of Free Press, a national media reform organizations that has been at the forefront of championing net neutrality. Activists across the country have been working tirelessly to protect the free and open internet. Back in January, Free Press galvanized a coalition of organizations which delivered one million signatures to the FCC demanding net neutrality.